A fantastic opportunity to stay in the heart of Lagos with everything on your doorstep. This stylish apartment is conveniently located in a quiet location, just inside the city walls of this historic and amazing town. This newly modernised and very chic apartment has been tastefully renovated and decorated. The owners have chosen high quality finishing’s and furnishings giving the apartment a feeling of luxury. You will find all the modern comforts we come to expect from accommodation these days, but cleverly mixed with vintage pieces. Set in the “Praça das Armas” village square with the medieval town walls to one side, and an archway on the other, which was once one of the main gateways into the old city. Across the square you will find a “Churrasqueira” takeaway, selling the famous and delicious Piri Piri Chicken. Secure off-road parking can be found in the Anel Verde underground car park 100 metres away. Just outside the walls, there is a large green park area, complete with children’s play-parks and the Pro Putting Garden (mini golf). There is also a well-stocked Spar supermarket within 300 metres. The 2nd floor apartment, set-up to sleep 2 adults, is very spacious (59 m2). The lounge has double glazed patio windows and a balcony overlooking the square. Facilities include MEO cable TV offering a large number of channels in various languages, a 43” TV, and old fashioned style Bluetooth radio, Wi-Fi, ceiling fan, air con and electric shutters. The modern, white kitchen, comes complete with Siemens washing machine, dishwasher, electric oven & hob, microwave, large fridge and freezer, toaster, kettle, Nespresso machine and electric juicer. A corridor leads to a large double bedroom, double glazed patio doors and a small balcony. Facilities include 32” TV, Air con and ceiling fan. The bathroom has natural light thanks to the “corner” window, and boasts a walk-in rain dance shower and superior quality finishing’s. Underfloor heating and a heated towel rail, ensure comfort even in the cooler months. All bed linen and towels are supplied. The owner would be willing to put in 1 extra fold out bed for a child up to 12 years of age, and/or a cot, making the apartment suitable for 2 adults, or for a family of 4. Lagos is a vibrant, lively town with its myriad of winding streets and hidden gems. Wonderful in the summer months with numerous restaurants, bars and eclectic shops, plus street entertainment laid on for visitors and, equally delightful during the rest of the year for those wishing to escape the weather at home. Paid parking availabel 100 metres away in the underground carpark "Anel Verde"
looks onto the "Praça das Armas"
I've stayed in many VRBOs and for the most part, while they've all had some charm, they tend to be somewhat less desirable than their pictures. Not this place though - if anything, the pictures undersell it. This is a completely updated apartment with quality finishes, it's spacious, and the furniture is all really comfortable. The property manager, Sarah, is fantastic and wonderfully helpful. Overall, an excellent vacation and we hope to return soon. Nice apt in great location. Balcony overlooking small plaza. A/c works well. Three floors up with no elevator. I am 73 with heavy luggage and could manage ok. Rental office is just a few blocks away and better address to use to use when first arriving. Older agent on duty during weekend was a little crusty but ok. I made a good choice . Great little apartment and city. We loved our stay and would recommend it to others. It was a little inconvenient not having a lift to the apartment as we had a six month old baby and lots of luggage to accompany him. The beaches in the area are incredible and the location is perfect for a few days or weeks getaway. 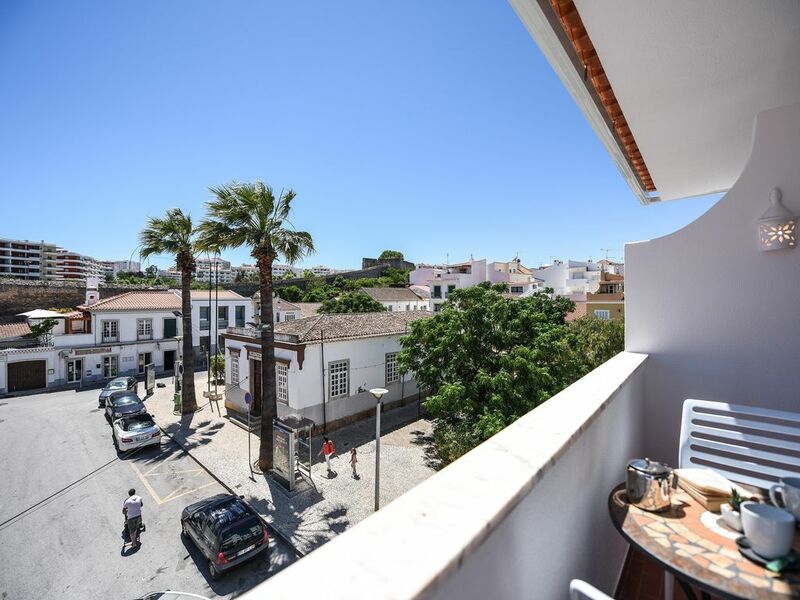 The property is located just inside the old city walls and provides easy access to the town on foot and the main parade running the length of the town by the sea. Plenty of good restaurants nearby and some interesting buildings and narrow streets to wander in. The beaches are simply stunning on both the south and west coasts and if you take the time to go up into the mountain area as well there are some amazing walks. Would definitely stay here again. Close to town centre and somewhat away from all the noise. People walk down the street from other locations to get to the town centre so it can get a little noisy. There are bars which are down the street for the young folks and quite loud when your near it but apt is a little ways away and cannot hear it at night. Apartment was very modern and very clean and well looked after. Washroom kitchen and bedroom are ideal for a family. Would have been nice to have some basic essentials provided like toilet paper, sugar, spices so we have to go out and buy that. Also we did have a laundry machine but we're told that the cleaners would come mid-week to provide fresh towels. Sarah was amazing with the communication back and forth and even allowed us to store the luggage at her office while the apartment was being cleaned. Overall a great stay. Beautiful property in perfect location. We had a great stay. The apartment is beautifully refurbished, very comfortable and perfectly located. The management side was also very efficient and helpful. We would certainly highly recommend this property.